Turkish and Islamıc Art Museum is the first museum exhibiting all kind of Turkish and Islam Art Works. 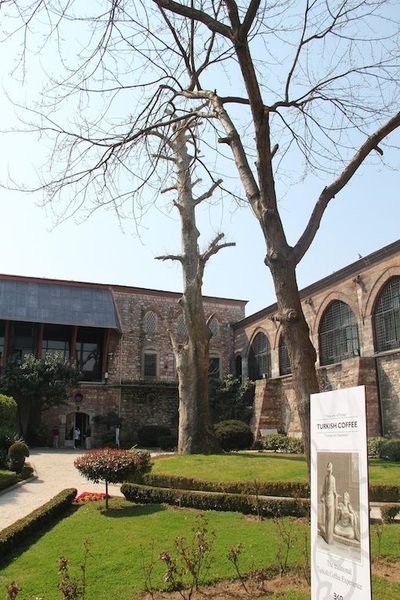 It was completed in 1913 and opened the visiting as "The Museum of Muslim Endowments" (Evkaf-i Islamiye Muzesi) in imaret building within Suleymaniye Mosque complex, one of the masterworks of the Great Architect, Mimar Sinan in 1914. 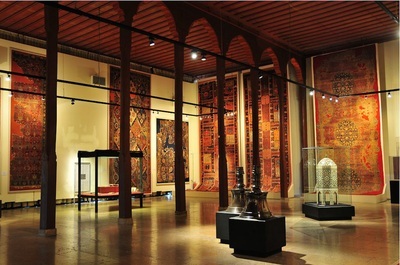 Then it was transferred to Ibrahim Pasha Palace which was given by Suleyman the Magnificent as a present grand vizier Ibrahim Pasha from Suleymaniye imaret building in 1983. Additionally, surrogated four enormous courtyards,that palace has stood for centuries because it was made of the stone instead of the wood. So It is reborn by being renovated between1966 and 1983. 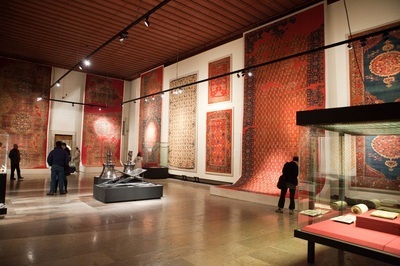 Most valuable and unique carpets are located in that part.Those fascinating carpets were brought from many different countries to here.Therefore that section exhibites the richest carpet collection within the word with all kind of carpets such as rare Seljukian Carpets, the mats with animal motifs belonging to the 15th century,Holbein Carpet which was produced between 15th and 17th century in Anatolia,Iranian and Caucasian Carpets. Today people who interested in the carpets should visit this magnificent place to get more detailed information about carpet business. 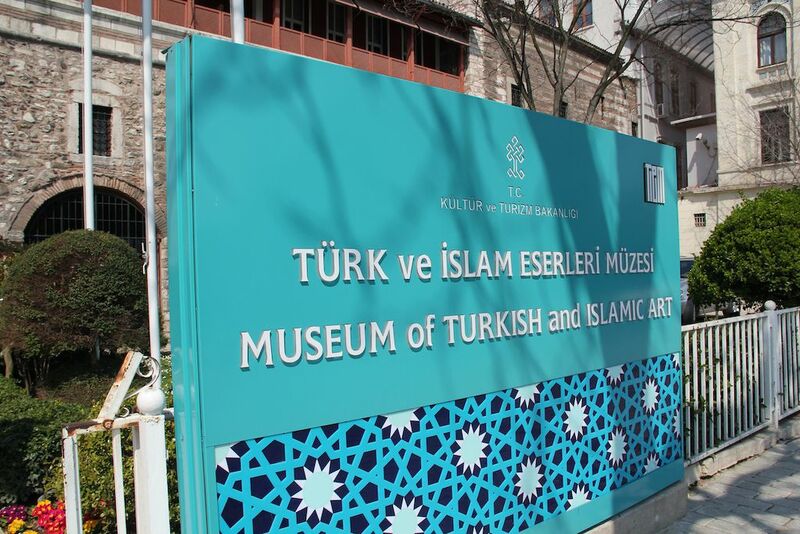 Famous manuscripts and calligraphy which spread a large geography along the history are exhibited here.Especially one of most valuable works, Korans(the muslim's religion book) take place here.They were brought from many various places and periods such as Syria, Egypt, the period of Mameluk, Mogol, Seljukian and Ottoman. 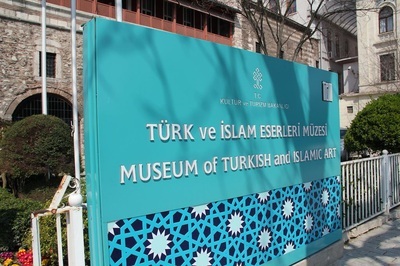 Among those manuscripts,there are found rescript written Ottoman tughras(sultan's signature),the handwritten with Turk's and Iran's miniature in the part of that museum. 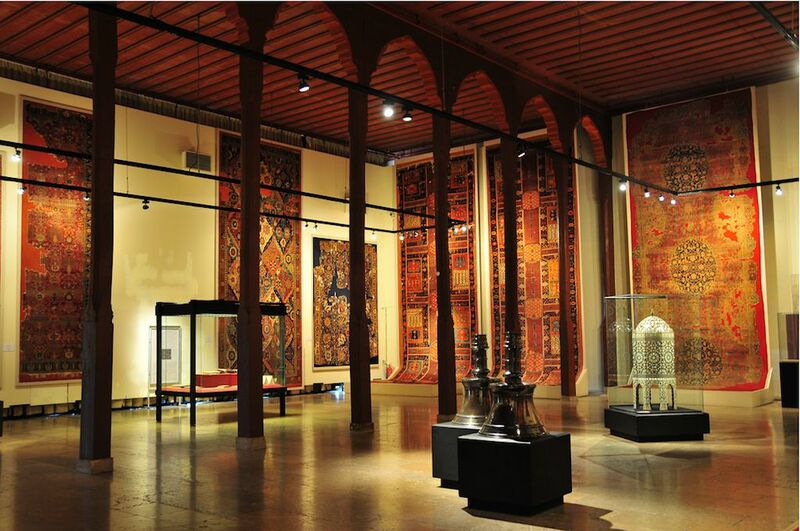 The most fascinating pieces of that collection are the Anatolia Wood Art produced in between 9th and 10th century. There is not only the unique works dated back Anatolia Seljuks and Beylics Era but also,wooden works which was furnished with morher of pearl and ivory, Reading desks and drawers reflecting Ottoman period. 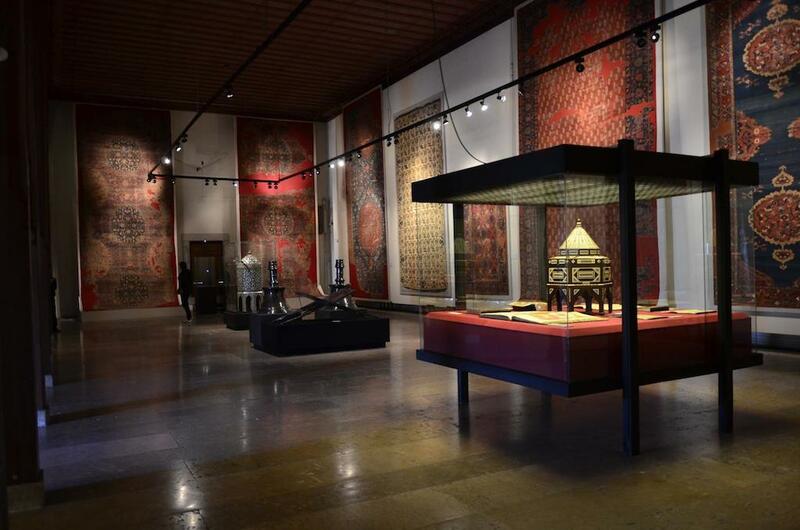 That part contains the unique works collection of Great Seljuk Dynasty like mortar, censer, kettle (water-can) and mirror. 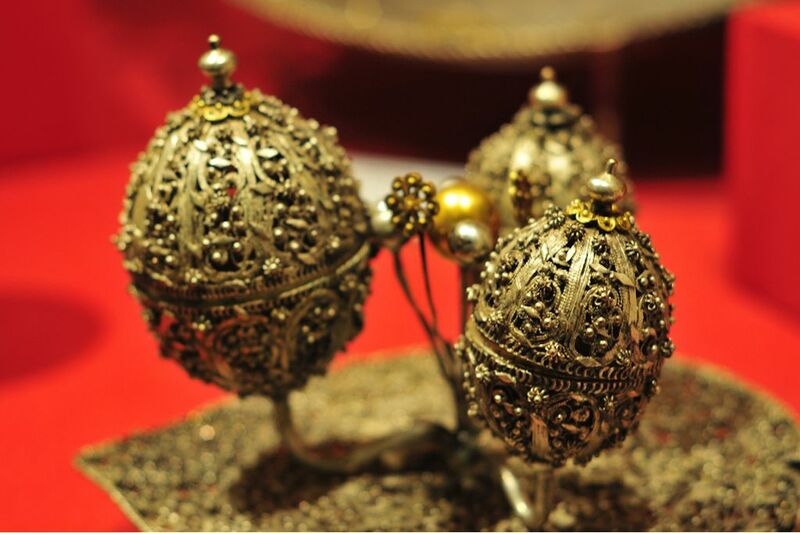 Also there are Cizre Ulu Mosque's handle and candelabras with planet motifs of 14 th century. Amongs Ottoman Mineral Art Works both in 16th century and 19th century,silver tombac,jewelled comb with valuable pieces,oil lamp,basin and water-can take places here.